Situated within a striking red brick building in the middle of the city, this centre allows you to be connected to local businesses from property to professional services while having a central base to explore the whole city. This striking, red-brick centre provides 24-hour access, unlimited high-speed Internet to keep you connected, a business lounge access and professional meeting rooms in which you can convene meetings within an attractive setting. With a range of serviced office and co-working solutions this classical Toulousian building is located downtown, a short walk from Place Saint Georges. Available to tenants is also the use of four meeting rooms that can cater for up to 50 people. Within the immediate area, you can also find a number of performing arts centres, events and conference venues and movie theatres. Close by, there are several museums and landmarks to explore and observe outside of work. This building is within easy reach of Toulouse by car or tube, and offers serviced offices and associated services to assist the growth of your company. A meeting room is available for training, meetings or interviews. A full range of services is also available, including an onsite management team, administrative/IT support and reception services to help your business run as smoothly as possible. In addition, there are several hotels nearby, both within walking and driving distance, where you can accommodate visiting clients and executives. A futuristic brand new centre blessed with advanced technology and contemporary furnished office suites. Excellent conferencing facilities and dedicated servicing are provided and the centre is surrounded by landscaped gardens. A shuttle service connects the property with both the airport and central Toulouse making it ideal for international companies. In the surrounding area, there are lots of hotels and restaurants as well as car rental companies. This eye-catching, contemporary designed building houses a high quality business centre with disabled access and full servicing. It is also at an advantage with its in-house restaurant and lounge, There is underground parking provided for tenants and visitors. The centre is surrounded by pleasant parkland and is very close to the metro and the Congress centre. The Japonais Pierre Baudis Garden botanical garden is just 2 minutes walk away. In the heart of the Toulouse's Compans Caffareli Business District, this business centre is just 10 minutes from the city centre and provides flexible workspace for businesses of all sizes and across a wide range of industries. Meeting rooms for up to 20 are also available, as are mail handling services, a drinks dispenser and a Fibre Optic broadband internet connection. In addition, the beautiful Japonais Pierre Baudis Garden, which is just 5 minutes away by foot! Serene serviced offices in an attractive contemporary building surrounded by wooded grounds. This centre has excellent conferencing facilities and also offers Virtual Office arrangements. Located on the outskirts of Toulouse, it is near to motorway connections and an easy distance from Blagnac airport. Additionally, the centre is accessible 24-hours a day and has great access to a range of on-site administrative support. Here, it is possible to take advantage of the spacious meeting room, air-conditioning, high-speed internet and professional reception service. 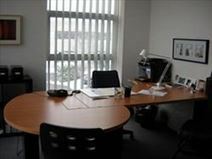 Well located, furnished offices in an extensively glazed modern building with message service and secretarial assistance. The centre has pleasant grounds and is equipped with excellent IT systems and offers 24 hour access. It is situated in the centre of Toulouse, in its established business area near to the Rocades. You can observe exhibitions at the Musée Georges-Labit and the famous Natural History Museum (Muséum de Toulouse), just a short drive away. 7th floor office space in a smart modern building that offers both open-plan and more traditional suites with attractive public areas and well equipped conference rooms. Flexible arrangements are available and the centre has car parking and 24 hour access. The property is close to relaxing parklands and is very central to the city and its amenities. Just a short drive away, you can find an abundance of museums, cinemas and historical monuments, as well as the Muséum de Toulouse. 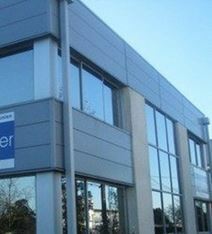 Smart, furnished offices with a convenient airport location with messaging service and broadband. The centre has a range of facilities such as free parking, well equipped meeting rooms and an in-house restaurant. Its situation makes it ideal for international companies and it is a short drive from Toulouse city centre. Just a short walk away, you can reach a rock climbing gym, a sports complex and a sports club.